Dr. Jan F. Kukleta, MD, FMCH is a Visceral Surgeon in private practice since 1984 in Zurich, Switzerland. He studied Medicine at the University of Zurich from 1967 – 1974 and did the State examination in 1974. From 1972 – 1974 he undertook a doctoral thesis entitled “Sutureless intra-myocardial pacemaker-electrode implantation“, and obtained his doctorate diploma from the University of Zurich in 1975. He undertook Experimental Surgery at Dept. of Surgery of the University of Zurich from 1972 – 1974. During 40 years of his never-ceasing surgical training and personal development he concentrated his practical and academic activities on laparoscopic surgery, early adoption of new technologies, herniology and teaching. As a member of the international faculty of the European Surgical Institute in Hamburg and the Covidien European Training Center in Paris/Elancourt he regularly lectured on the subject of abdominal wall hernia repair. Being one of the pioneers of the endoscopic tension-free repair he had the chance to accumulate substantial practical and theoretical knowledge over the two decades. He is a member of several national and international surgical societies (SGC, SGVC, ALTC, EAES, EHS-Grepa, AHS, SLS, APHS, SAHC, IEHS and AMEHS). He is also a member of the International Advisory Board of the journals Hernia, European Journal of Coeliosurgery and Chirurgische Allgemeine. He is Founding Member and current President of the Swiss Association for Hernia Surgery SAHC and is also Founder/Medical Director of the Laparoscopic Training Center in Zurich which aims to develop and perfect she surgical kills of young surgeons in laparoscopic procedures using simulators. Dr. Kukleta is a member of the working group that developed the European Hernia Society Guidelines in 2008 for the treatment of groin hernias which was subsequently updated in 2013. He also helped develop the guidelines for endoscopic hernia treatment for the International Endoscopic Hernia Society in 2010 which was updated in 2014 as well as guidelines for the laparoscopic treatment of ventral and incisional abdominal wall hernias in 2011 (IEHS) and the EAES Consensus development conference on endoscopic repair of groin hernias in 2013.He was also part of the Hernia Surge group which merged the EHS, IEHS, APHS and AHS and developed common (world-) guidelines in 2016. 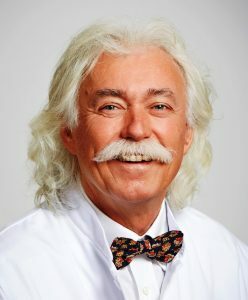 He is a frequent contributor to various congresses globally and has operated in 29 countries and lectured in over 40 countries in order to share his experience to improve patient outcomes.